Home » blog » 7th Annual Gluten Free Cookie Swap! It’s my favorite time of the year: Gluten Free Cookie Swap time! I can’t believe it’s the seventh year we’ve hosted this community event, and now, hundreds of gluten free cookie recipes and thousands of dollars of prizes later, it’s now the 7th Annual Gluten Free Cookie Swap! In addition to these fantastic TOP 3 Prizes, we’ll have flash giveaways like this one from sponsor Goddess Garden: Ambition, Perseverance and Serenity Bracelets with stones and lava rocks matched with on-the-go essential oils like Happy Day, Brain Boost, Grounding, Pick-me-Up & Take 5 to brighten anyone’s mood! Readers commented on which scent they most needed in their lives, and there was lots of excitement! There’s so much to love about living gluten free! Then scroll down to PUBLIC POSTS to see recipe posts. Browse the pictures until you see one that strikes your fancy; click on the photo/post and get the full recipe! Do not post the same recipe more than once. Only photos submitted between December 1 – December 31, 2017 will be eligible for the 2017 contest. On December 31, 2017 at 11:59pm EST, the contest closes. The top 10 vote-getting cookie recipes, as determined by the number of “likes” on Facebook, will be selected for the Bake-Off. Those entrants will be asked to send in 2 dozen of their gluten-free cookies (baked according to their recipe and only using certified gluten-free flours) for a blind taste test. The top 3 ranked cookies will win our top 3 prizes! NOTE: all recipes must be gluten free and made using Certified Gluten Free flours. To see the certification seals and learn how to identify products certified by independent agencies, hop to my article on Shopping for Safe Gluten Free Products. 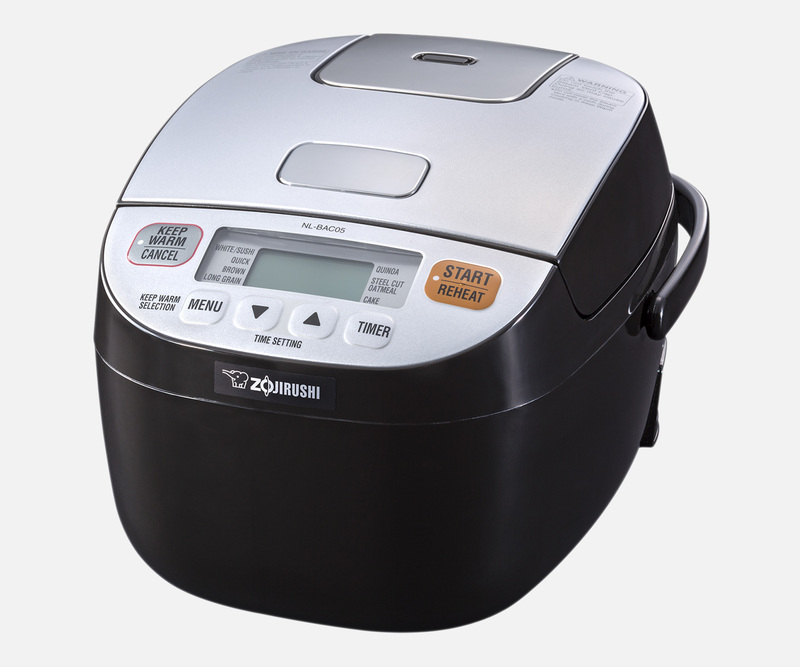 The Home Bakery Maestro® Breadmaker from Zojirushi automatically bakes a 1-lb. loaf of bread, and features 15 course selections, including healthy options like Gluten Free, Salt Free, Sugar Free and Vegan. Quick course bakes a loaf in just 2 hrs. and 20 min. Pascha® Organic Chocolates are all free of the Top 8 Allergens (+ gluten-free) and are made with a commitment to making only the purest, safest chocolate without any allergenic ingredients. From their classic bars to new chocolate spreads and rice milk white chocolate chips, there’s something for every baker and chocolate lover to adore. Cuisinart® is leading the way in eco-friendly branded cookware with our new GreenGourmet™ line. Exclusive Cuisinart Ceramica™ nonstick technology is ceramic based instead of petroleum based, helping to conserve existing oil supplies and the coating is applied at a temperature one half that of conventional nonsticks. Completely free of PTFE and PFOA. The cookware’s hard anodized construction provides high heat conductivity, which requires less energy to reach desired cooking temperatures. Riveted stainless handles stay cool on the stovetop and are made from 70% recycled stainless steel. Today, more and more home cooks are going green… and so is Cuisinart® cookware! Everyone needs a gluten-free cutting board. Words with Boards® was named a Martha Stewart AMERICAN MADE Design finalist, followed with making “THE O LIST” in Oprah Winfrey’s iconic list of her “Favorite Things” 2015 issue of O Magazine. Today, amid a sea of choices for cutting boards, Words with Boards® is the only company that hand-cuts words into the wood. Hand- crafted from sustainably forested American hardwoods, our one-of-a-kind boards are made and hand-finished in our newly expanded studio in Baltimore’s eclectic Hampden, Maryland community. The Home Bakery Virtuoso® Breadmaker bakes a traditional-shaped 2-lb. loaf of bread automatically. Dual kneading blades and additional heater on the lid ensures thorough kneading and even baking. New gluten-free menu setting makes it easy to bake gluten-free breads. LCD clock with 13-hour delay timer. Dairy-free, nut-free and soy-free, Enjoy Life Food’s Semi-Sweet Chocolate Mini Chips are delicious in gluten-free cookies or straight from the bag. TWENTY pounds will make a lot of gluten-free cookies! Their brushed stainless pressure cooker is safe, easy to use, cooks up to 70% faster than conventional methods and cooks healthier, too. Steam trapped in the BPA-free pot builds up pressure that creates hotter temperatures, and the pot is so tightly sealed that vitamins and minerals can’t boil away. Foods stay moist and flavors stay true. Features variable pressure and temperature settings, plus Browning, Simmering and Sauté functions for perfect roasts, stews, vegetables, cheesecake or custard. The Cuisinart™ 6-Qt Pressure Cooker is absolutely safe, with a lid that has to be locked in place before pressure builds, and stays locked until pressure is released. Cook faster, eat healthier, with Cuisinart! Today’s health-conscious consumers want to eat right. The Cuisinart Electronic Yogurt Maker with Automatic Cooling turns milk and soymilk into nutritious yogurt – automatically! Yogurt lovers can create an endless variety of flavors and the 1.5 liter batch makes enough for days of delicious meals and snacks. Operation is simple. Once processing time has elapsed, the unit switches itself to a cooling mode. It’s easy to eat healthy, with Cuisinart! Annoying Fine Print: Posting your photo and recipe grants consent that gfJules, The Gluten Free Cookie Swap &/or its owners, founders and assignees may use this content and/or reprint it in digital or printed form at a later date. While anyone may enter the Swap contest, prizes will only be awarded to winners with a US address. *please see my terms and conditions for my disclosure policy. In some cases, sponsors provided me with complementary product to use, photograph and promote; in some cases, sponsors have paid for my reviews, promotion or commissions; some links may be affiliate links. These fees are used to offset my blogging expenses and time spent working on this blog and new recipes to share. As always, my opinions are my own and I only choose to recommend products I have personally used and liked. I have never been able to see the post of cookies. What am I doin wrong. I know you posted my brownies. Where do you see the cookies at. I’m working on my recipe! Hope to get it up soon! Awesome, Amanda! I can’t wait to see it! So fun! I entered. I can’t wait to see everyone else’s cookies. Woohoo! I can’t wait to see all the cookies! And that cookware set – hmm, I might need to enter. I have that cookware set and it’s a dream! SO easy to clean up, and no need to use lots of oils in cooking. You should enter, Alisa! The prizes are awesome! And seeing all of the yummy recipes is so much fun! It is inspiring to se all the great gluten free cookie recipes shared! Such great prizes! I’m looking forward to it. Awesome, Chrystal! I hope you enter! What a great collection of prizes! A bread machine would be wonderful! Wow! I would love any of these prizes! What a great collection and a great event! It’s a fun event I look forward to hosting every year – the sponsors are amazing! Such an awesome contest, the prizes look amazing!! They are some great prizes, Sarah! Whoever ends up winning the Zojirushi prizes, you’re going to love them! They’re all amazing. I know – I love Zojirushi products! Thank you for the personalized service on my order. A rare commodity in this age. You are so very welcome, D.! We’re happy to be able to help people personally, as that’s very important to us, as well!